Dementia is increasingly significant to the daily lives of rural people. run farm business when farmers or their families have dementia. 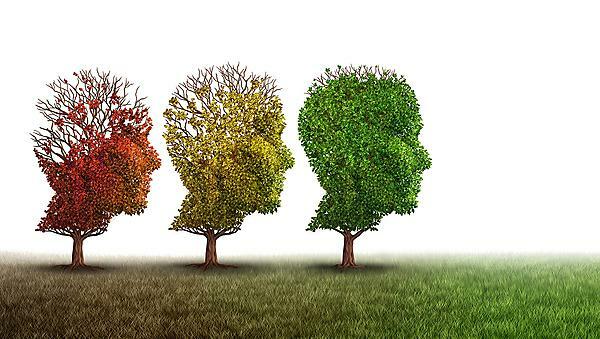 Geographers and researchers working at the University of Plymouth have contributed to a growing base of evidence on the impacts and issues of dementia in rural places. Dr Claire Kelly and Professor Richard Yarwood conducted a year-long study into the impacts of dementia on farming families in Devon. They were supported by Ian Sherriff (Academic Partnership Lead for Dementia at the University and Chair of the Prime Minister’s Rural Dementia Friendly Task and Finish Group) and Joanne Jones of the Farming Community Network. The work received widespread coverage in the media, including reports on Countryfile and BBC Breakfast. Findings from the work went on to inform the ‘Dementia-friendly Rural Communities’ guide published by the Alzheimer's Society in May. 4. the changing nature rural communities. considered how to improve working practices to care and support those living with dementia. We invited practitioners, policy makers and people living with dementia to attend this meeting and share their experiences and advice on dementia, the countryside and good working practices. Richard is a Professor in Human Geography with teaching and research interests in social and rural geography. He is the programme leader for the MSc Human Geography Research and a pathway lead for Human Geography in the ESRC’s South West Doctoral Training Partnership. Rurality society and nature - ongoing work on dementia contributing to the theorisation of rural citizenship and the development of policy. Claire holds an MRes in Sustainable Environmental Management and a PhD in Geography, focusing on the effectiveness of public/private sector partnerships within the complex and fragmented policy environment of the coastal zone. She currently works as a Research Fellow on a range of human geography-based projects in the School of Geography, Earth and Environmental Sciences. As a social scientist and a geographer, Claire’s research interests focus on people and their relationships to place across a range of contexts. Specifically, her interests span social capital, resilience, stakeholder engagement and partnership working, governance and participation, and qualitative research method development. Outside the University, Claire has extensive experience of engagement with communities through various development projects, and on a personal level as a long-term volunteer in a project in her own rural community. Ian is the Academic Partnership Lead for Dementia at the University of Plymouth. He is a founder member of the University's Dementia Group whose research to date includes “Early Diagnosis of Dementia in Plymouth” Dementia Quality Mark for Residential care, Evaluation of day opportunities provided by the Voluntary and Private sector for individuals with dementia and their carers, evaluation of residential care in Torbay 2015. Ian is a member of the Prime Minister's Dementia Friendly Communities Challenge Group 2015/16/17/18; his role on this group is chair of the South and South West of England. Ian is the chair of the Prime Minister's Task and Finish group for Rural Dementia 2015/16/17/18. He is the driving force behind the six successful Plymouth International Dementia Conferences. Ian is also in great demand as a keynote speaker at national and International conferences on dementia. We welcome Joanne Jones from the Farming Community Network (FCN). The FCN is a voluntary organisation and charity that supports farmers and families within the farming community through difficult times. It has partnered the University of Plymouth in undertaking research and advocacy about dementia in rural places. The FCN has a network of over 400 volunteers across England and Wales, many of whom are involved in farming, or have close links with agriculture, and therefore have a great understanding of the issues that farmers, farm workers and farming families regularly face. Volunteers provide free, confidential, pastoral and practical support to anyone who seeks help, regardless of whether the issue is personal or business-related. In addition to local groups of volunteers, FCN runs a confidential national helpline and e-helpline which is open every day of the year from 7am-11pm. Volunteers will 'walk with' anyone who seeks support and help them find a positive way through their problems - for as long as it is needed. It has helped thousands of people deal with a variety of issues, including financial difficulties, animal disease, mental health, family disputes and, in the context of this workshop, dementia. More information about the work of the FCN can be found at their website.